The Labyrinth garden and surrounding treeline holds space for body work and hands on therapies of all kinds, you can book appointments with any of our gifted and heart centrered therapists; Wander around the gardens and you stumble upon the Spa where you can enjoy lounging in the serene space, help yourself to body scrubs, plunge pool, log fired hot tub, draw yourself a bath or enjoy hot showers, its pampering on another level! Join Bayari around the Healing Hearth for a delicious, soothing herbal tea crafted with hand picked herbs from the Cabourne Parva gardens. Enjoy a sensational free taster massage using her lotions and potions to return you to a place of bliss. 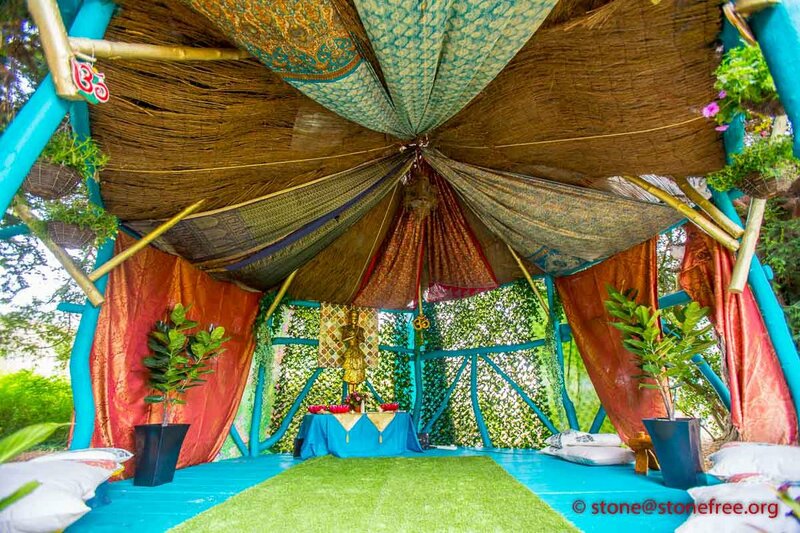 Bayari and her team are creating a truly realxing, healing space around the Summer House and to the back of the Spa where you are honoured as a being of Divine Grace, its overwhelmingly gorgeous to be greeted as a God or Goddess in the midst of a busy festival! The Hermit Lodge Fairies are bringing the Fae out to play with storytelling, traditional Earth Healing, talks and walks around the Labyrinth and will be inviting you to one of their magical gatherings which are happening throughout the weekend – these busy bees are even creating a wonderful fairy house in the woodland by our hand made arhces which hold the space. Magic, Fun, Laughter – all are welcome here! 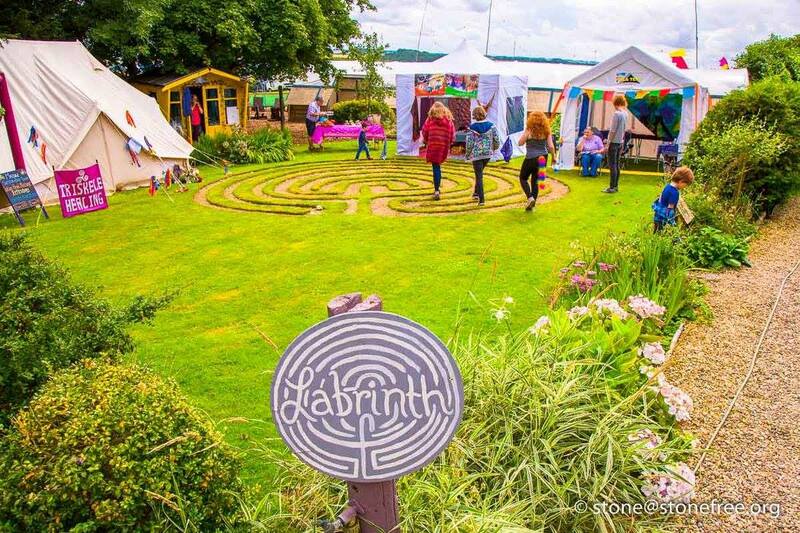 The Healing Dome is losing her walling and becoming the centre of a prayer pole in the middle of the Tai Chi and Play Field – its a truly magic spot for talks, workshops, immersive, all inclusive fun all weekend long. There will be talks and workshops on everything from Finding your Inner Warrior, shamanic practices and Tai Chi right through to Belly Dancing, Nutrition/ foraging and Henna, and pretty much everything in between! Its is such diverse and awesome schedule this year, aren’t we the lucky ones?! check out the Workshops and Talks pages which are being updated from now to the festival build. Tai Chi is a hot take up workshop at Festival 8, we are joined again by Bob who alongside a structured Tai Chi class is also holding a circle on the Tai Chi and Play Field, come and learn about your own energy field, or Tai Chi postures, he is a very knowledgable person and has helped countless people to find their inner strength and power. Get grounded, get connected, feel empowered. Yoga, Yoga, Yoga, check out the talks tent boards and the Tai Chi and Play Field, we have lots of fabulous yoga delivered by exquisite teachers, there really is something for everyone – we have Yoga for children and families in the Earthbound Misfits Space on the Main Field every morning too – but check in with yoga teachers if youve never tried yoga before, if you have younger ones with you, or if you have any injuries or old pain but would love to begin to work on your physical stength and holding patterns, all the yoga teahcers are flexible (pun intended) and very capable of working to the students pace and abilities; and depending on what form of yoga they are teaching many workshops can involve your kids. Our intention is to really hold the space for the festival and for all who are visiting Cabourne Parva, you can join meditations and group gatherings or simply write your prayer / intention for yourself, for your experience over the weekend, for something in your life, or for someone else and tie it to the prayer flags around the pond. We are holding intention for the power of the waters to bring our prayers and intentions into being in a safe, natural, blessed manner. 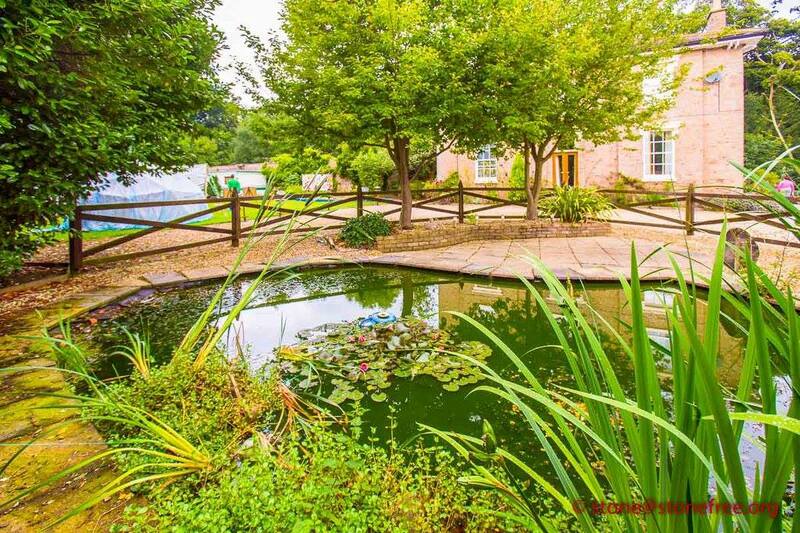 The pond is cared for in such a way as to give it a healing viberational field, and we know the magic of the space can weave its way accross land and sea, so do visit and feel it for yourself. We as a team hold our own intention from before the doors open, right up to packing down the following week, come and meet these beautiful souls and enjoy learning more at any time. We’re here to be of support and guidance for you on your experience.